Supporting local producers one recipe at a time. The #ShopLocalChallenge is two years old this month! Where does the time fly? A great big thank you to everyone who has supported their local producers and shared their stories with this blogging challenge over the last few years. I believe there is more awareness these days of how important small scale producers are and how we can support families and the environment by choosing to shop locally, where ever local may be to you. Remember that photo above? The original Shop Local badge? That’s Hayfield Croft’s Peerie Green Cupboard, and you’ll be delighted to hear that it’s still up and running after all these years! It’s changed a bit – she now uses a more weatherproof old upright freezer, but the same awesome produce is still there. You can follow her antics on Facebook, if you fancy! So, for this round up for the months of June and July 2015, feast your eyes on these delicious, mouthwatering recipes – a huge thank you to everyone who joined in! Kate over at Veggie Desserts is my #1 #ShopLocalChallenge supporter. 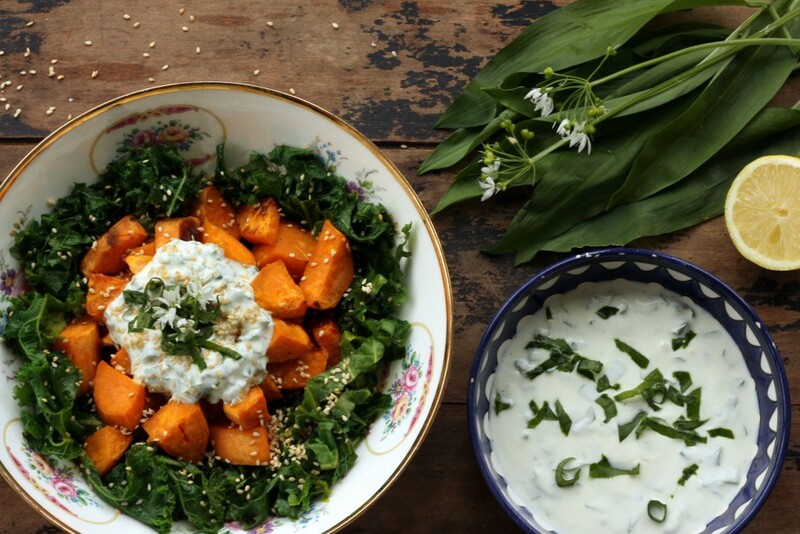 For this recipe she uses locally foraged wild garlic (ransoms) in her vibrant sweet potato, kale and wild garlic salad. As this is peak growing season here in the UK you might be wondering what to do with all those lovely vegetables in your veg box (I know I am!) and Kate’s blog will be sure to inspire you – she packs so much gorgeous veg into her creations. Do take a look! For this beautiful summertime strawberry pie, Andrea at Made With Pink visits a local pick-your-own farm here in the UK, filling a huge basket to the brim with gorgeous British strawberries. The recipe is her mother’s recipe from Canada and it sounds so simple to make – the hardest part is waiting overnight for it to chill! Shaheen over at Allotment 2 Kitchen, visits a local Welsh market and picks up some sea vegetables including samphire, laverbread and Perl Las cheese. 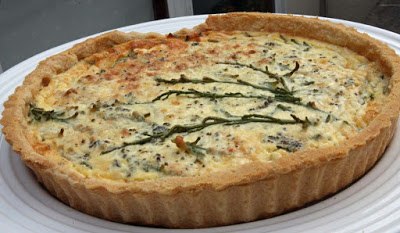 Here she treats us with one of her finest quiches yet – a sea vegetable quiche with Perl Las. 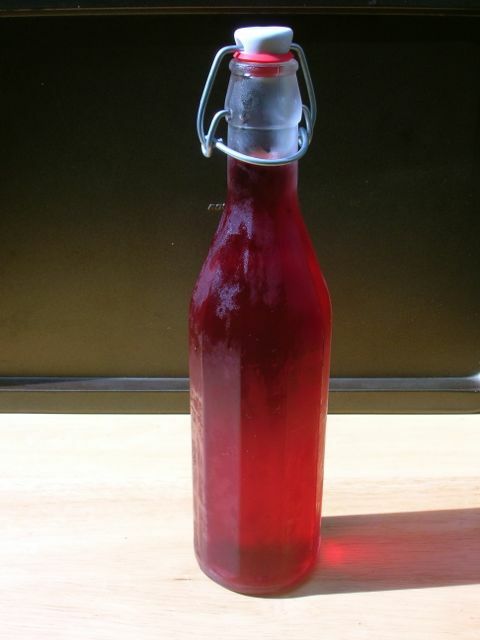 Choclette over at Tin & Thyme transforms the single fragrant red rose from her Cornish garden into this beautiful rose syrup, and she also gives you a long list of what to do with the syrup! Just look at that colour, can’t you just imagine how wonderful it smells? Looking for an idea to use up some seasonal kale? 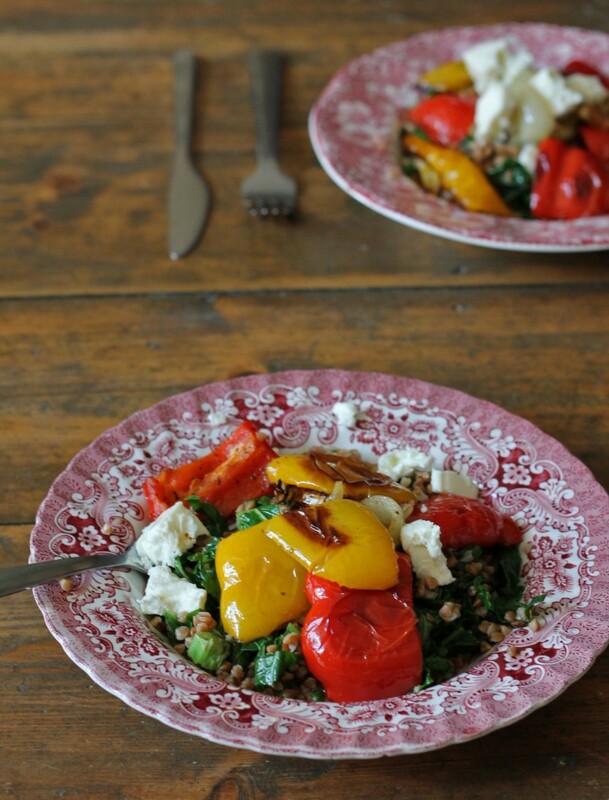 This sumac roasted peppers with kasha buckwheat salad from Veggie Desserts would be perfect! I’m loving the sounds of the flavours in this dish, and look at the colours! So summery and gorgeous! 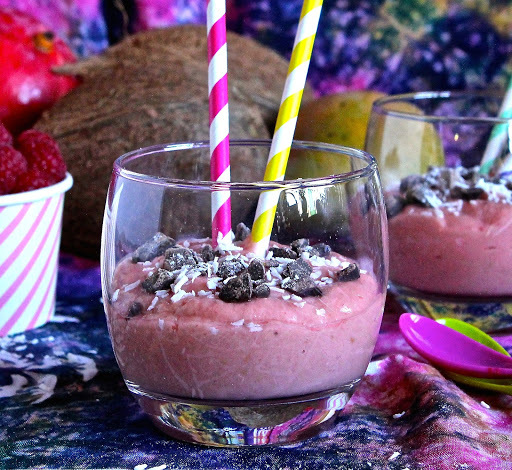 Seasonal raspberries from her local farm shop and honey from a local food fair both feature in this Mango-Raspberry-Coconut Smoothie-Pud from Kate the Gluten Free Alchemist. This smoothie pud is so thick you need to eat it with a spoon – doesn’t it look fantastic?! Suffering from a heat wave (I’m not, but I can imagine some of you might be!) 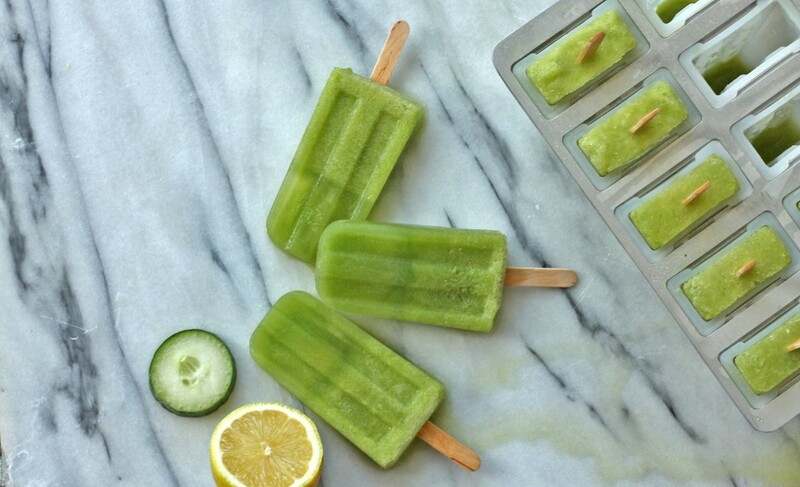 than look no further than this cucumber, lemon and coconut water popsicle recipe from Kate over at Veggie Desserts. Refreshing and good for you too! 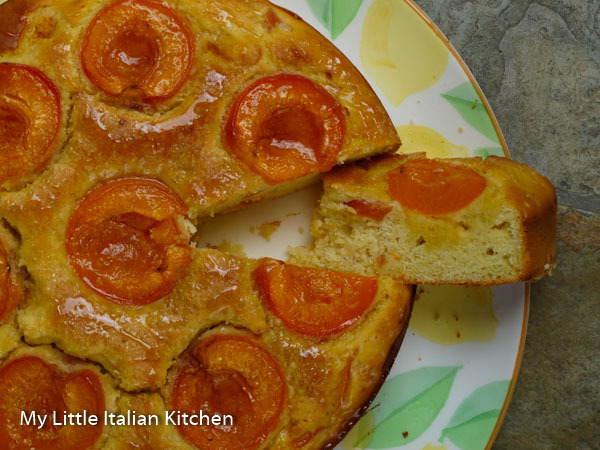 Alida over at My Little Italian Kitchen uses UK flour and yogurt in her gluten free soft apricot yogurt cake recipe – look at those gorgeous apricots plunged into the top of that cake! Pass us a slice please! 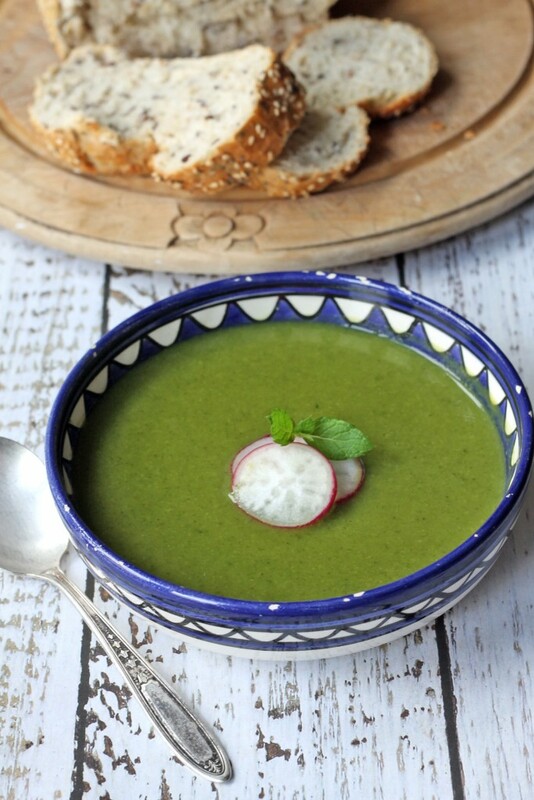 Seasonal peas and kale with a touch of mint make for a superb summer soup recipe from Kate at Veggie Desserts. Don’t you just want to grab a spoon and tuck in? You can find the recipe here. 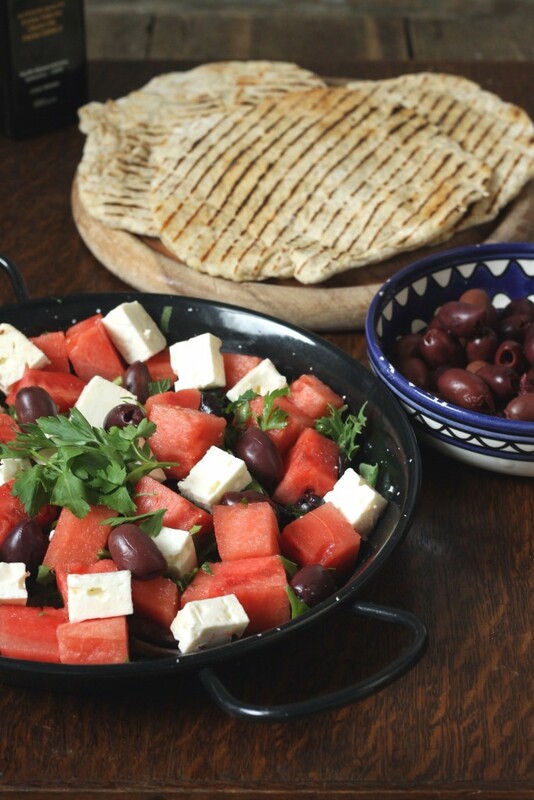 Kate’s final entry for this round up is a Greek watermelon and feta salad with quick sumac yogurt flatbreads, a perfect summer salad recipe! I’m not sure about the local shopping element of this recipe, but it would all include local ingredients if you lived in Greece! 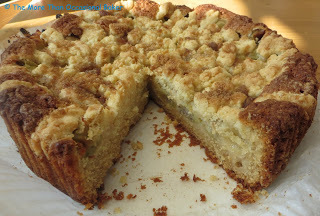 Finally, Ros over at The More Than Occasional Baker, treats us with this lovely gooseberry crumble cake made by gooseberries from her work colleague’s garden! A great way to use up some lovely, tart gooseberries! A great big thank you to everyone who shared recipes over these last two months. If you are feeling inspired to join in, you can find the rules over on the official Shop Local Challenge page. 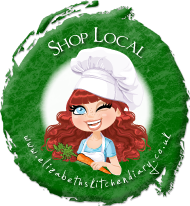 Follow Elizabeth’s Kitchen Diary’s board Shop Local on Pinterest. What an amazing set of beautiful, delicious ideas! So colourful and tempting. Totally inspired. Wow….. How amazing is this lot?! Some incredible recipes and wonderful photos too! Aren’t we a clever bunch????! Kate – gluten free alchemist recently posted…Holiday Birthday Chocolate Cake Update – the result? Yay…. it worked! What a fantastic selection of recipes. Shows how versatile we can be sticking to local retailers! I am making a real effort to shop local this summer and I am really tasting the difference! What a fabulous roundup of recipes featuring local ingredients. I can’t wait to join in again – planning on going Raspberry picking soon! What beautiful recipes, I really like the sound of the green popsicles. That pie looks fantastic I hope someone will generously make one for me! 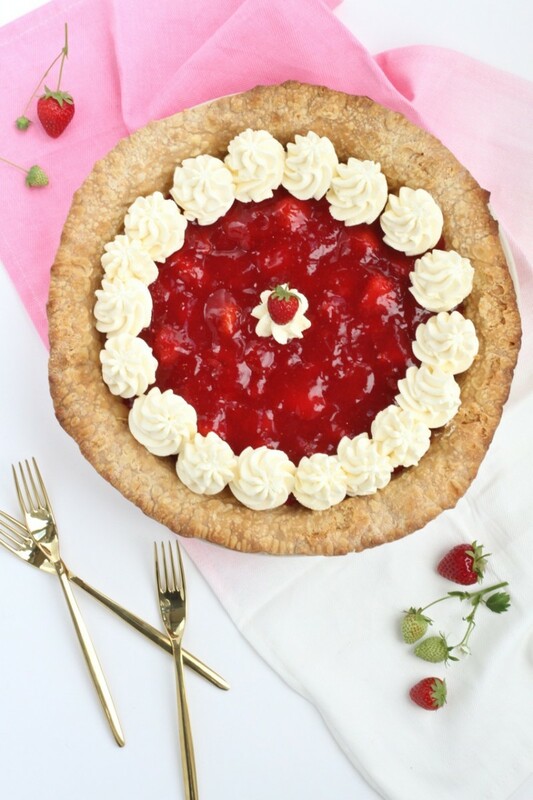 That summertime strawberry pie looks so good I hope someone can be kind enough to make one for me! Really inspirational recipes, I’m off Strawberry picking at a fruit farm tomorrow so may see what inspiration that brings.